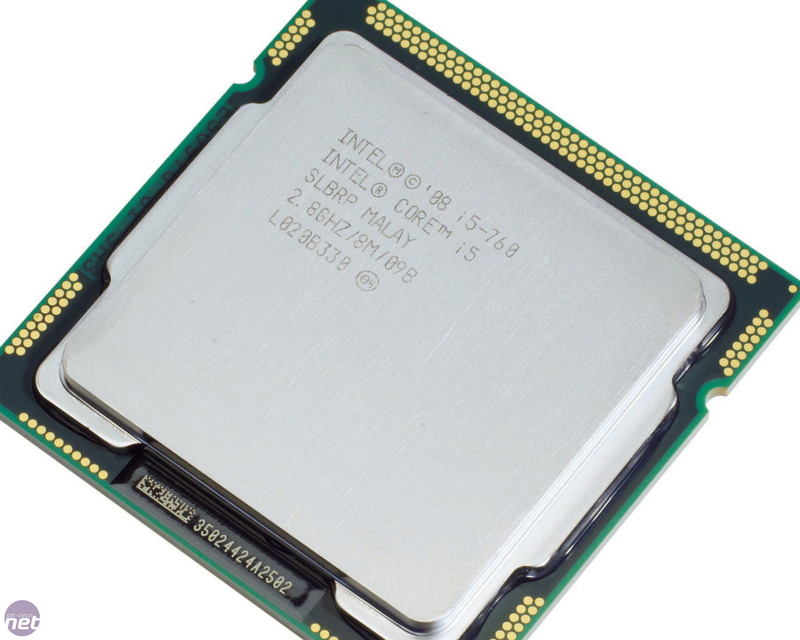 The Intel Core i5-750 has been our favourite mid range processor for nearly 12 months now which, in the world of technology, is a hell of a long time. It’s not like the i5-750 has had an easy ride either. 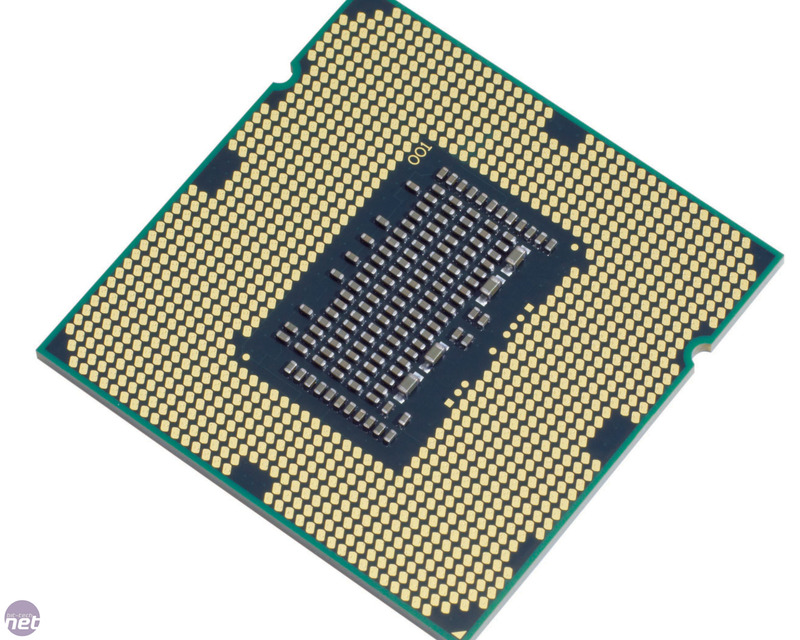 It’s had to see off competition from AMD’s 6-core Phenom II X6 1055T, its revised range of quad-core CPUs and the updated line-up of Intel’s own Clarkdale-based dual-core but Hyper-Threaded i5 range. As a true quad-core chip based on the Lynnfield design, the i5-750 always had the edge over its dual-core Clarkdale-based siblings, despite being based on a technically inferior 45nm fabrication process. It’s always had price in its favour too, as its relatively meagre 2.66GHz clock speed places it at the bottom of Intel’s Lynnfield range of processors. As a result, we greeted the news that Intel had finally updated the i5-750 with much excitement and many approving nods and knowing smiles. The cunningly named Core i5-760 isn’t a huge step forwards, though, gaining only a relatively small 133MHz clock bump over the i5-750. This disappointment is tempered by the news that Intel has increased the potency of its Turbo Boost (rev 2) technology – the i5-760 can boost from 2.8GHz to 3.5GHz as opposed to the 3.2GHz of the i5-750. Beyond these headline enhancements, little has changed. The i5-760 is based on the same B1 stepping as the i5-750 and both share the same 95W TDP. Cache sizes and memory compatibility also haven’t changed, which means that the i5-760 officially supports a maximum memory strap of 10x, giving a maximum DDR3 memory frequency of 1,333MHz. Fortunately, this number is as relevant to overclockers as the warranty pamphlet in the box. Core i5 and i7 chips are quick out of the box but their headline attraction for enthusiasts is their ludicrous overclockability. Its therefore no surprise that we were eager to strap the i5-760 into our test board and see just what the chip could do. After 20 minutes of pottering around in the brilliant blue surroundings of the BIOS, we had the i5-760 benchmarking stably at a colossal 4.1GHz. This represents a rather tasty 1.3GHz overclock from its base frequency, and only required a surprisingly frugal Vcore of 1.3V. In addition, we also needed to increase the QPI/VTT voltage to 1.35V, the PCH voltage to 1.14V and the CPU PLL to 1.9V.